[PDF] Statistical Methods for Validation of Assessment Scale Data in Counseling and Related Fields | Free eBooks Download - EBOOKEE! Description: This instructive book presents statistical methods and procedures for the validation of assessment scale data used in counseling, psychology, education, and related fields. In Part I, measurement scales, reliability, and the unified construct-based model of validity are discussed as well as key steps in instrument development. Part II describes factor analysis in construct validation, including exploratory factor analysis, confirmatory factor analysis, and models of multitrait multimethod data analysis. Traditional and Rasch-based analysis of binary and rating scales are examined in Part III. 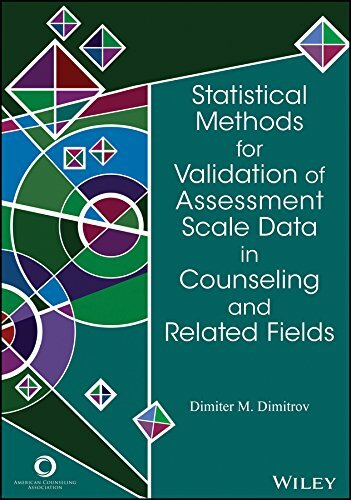 Dr. Dimitrov offers students, researchers, and practitioners step-by-step guidance on contemporary methodological principles, statistical methods, and psychometric procedures useful in the development or validation of reliable assessment scale data. Numerous examples, tables, and figures throughout the text illustrate the underlying principles of measurement in a clear and concise manner for practical application. No comments for "[PDF] Statistical Methods for Validation of Assessment Scale Data in Counseling and Related Fields".